Kickstarter campaigns may soon face more than Internet outrage if they don't follow through on promises: a lawsuit from government authorities. The Washington State Attorney General's office says it's taken the first such action, against a man who purportedly took in more than $25,000 from crowdfund backers but failed to deliver the goods. "Somebody had to be the first," explained Assistant Attorney General Jake Bernstein, who is handling the case, in a phone interview with NBC News. And the "Asylum Playing Cards" project is as good a place as any to start. 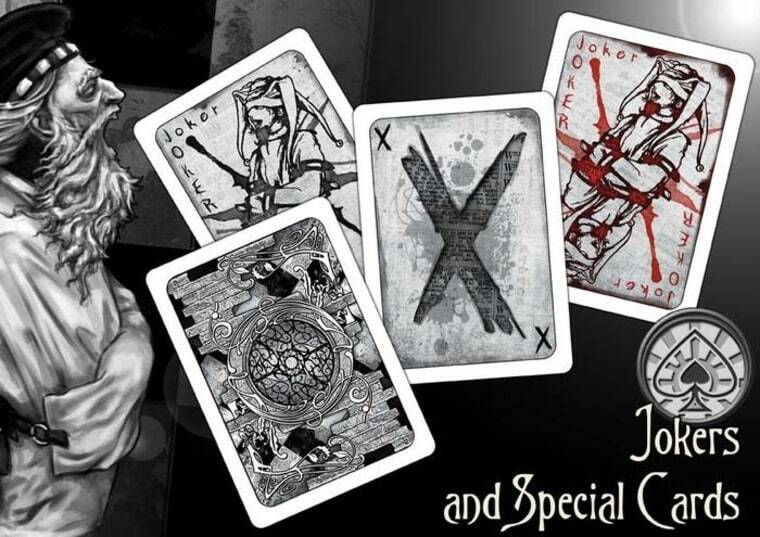 The campaign, started in 2012, raised $25,146 to make a horror-themed card set, and backers were told to expect their rewards in December of that year. But nothing ever came, according to backers, and the last anyone heard from the project creators was in July of 2013. "It's very clean," said Bernstein. "They took all the money, and nobody got anything." So Washington state is filing a lawsuit against the company, Altius Management, based in Nashville, Tennessee, and person who started the Kickstarter campaign, Edward J. Polchlepek III, also known as Ed Nash, demanding refunds for backers and fines for violating the Consumer Protection Act. NBC News attempted to contact Polchlepek and Altius but was unable to reach anyone. One might reasonably ask why Kickstarter doesn't do something — it's certainly against the terms and conditions to cut and run. But Bernstein explained the crowdfunding company has to keep out of such disputes and, like eBay or Craigslist, make sure the consumer and the provider can hash it out between themselves. The AG's office says this is the first legal action by law enforcement authorities in a case like this. "Part of the reason we did this was the general deterrent factor," Bernstein said. "What this shows is that someone may actually do something." He was quick to add that they don't want to discourage sites like Kickstarter and Indiegogo, just show potential fraudsters there are repercussions — and remind users there are risks. "We support the concept of crowdfunding, but consumers need to be wary," he concluded.